Almost all items on the menu at The Nookery Cafe can be made gluten free. Gluten free bread is served, so please discuss your menu options with the friendly staff. 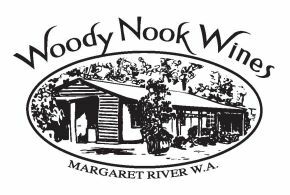 Selections include soup, salads, pasta, seafood, meat dishes, or the popular Woody Nook Taste Plate. Additionally, there is a daily Specials Board. Diners are encouraged to enjoy some wine tastings and make wine purchases for lunch at the Cellar Door. The Nookery Cafe is family friendly, stylish and unpretentious. It is affordable and offers good value and service. Seating up to 120 people, it is set against an impressive backdrop of jarrah and marri forest. With a rustic, cosy charm, there is a grassy play area with swings for children and meals especially for them. The cafe is open for breakfast and lunch every day, with the only exceptions being Christmas Day, Boxing Day and Good Friday.